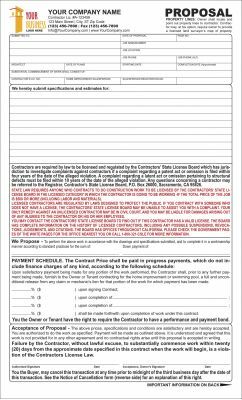 All our forms and contracts reflect the current California laws affecting the construction industry. Our forms and contracts are meticulously put together by a team of the best construction attorneys and the major changes adopted in 2012 as well as updates implemented in 2015 and 2018. 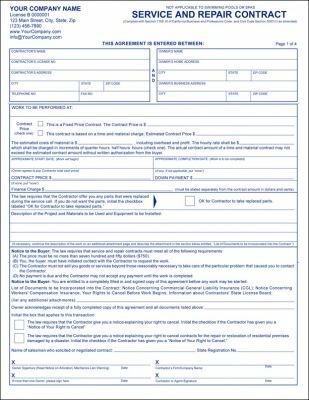 When you use our forms you can rest assured that you are using documents that are compliant with current California law. California home improvement contract includes new California laws/clauses mandating new notices, statements and new type size specifications on all types of home improvement contracts.